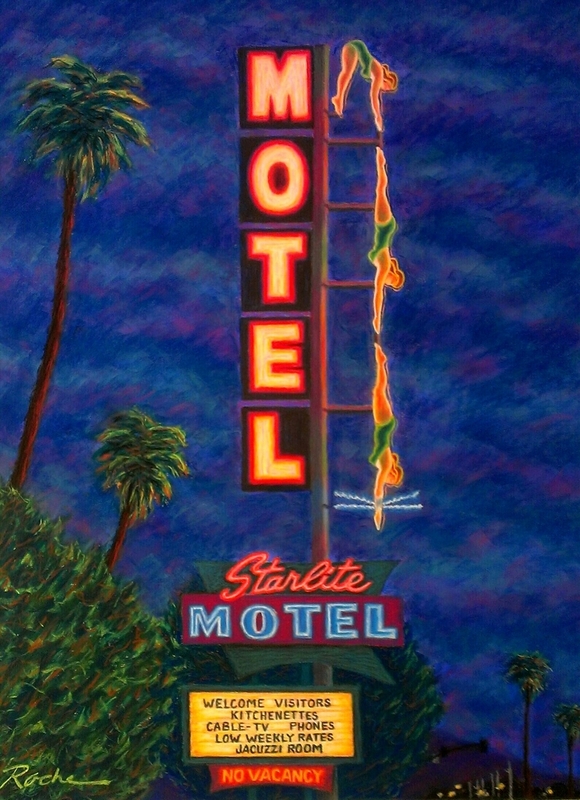 The "Diving Lady" is an image of an iconic neon sign that graces the old Starlite Motel in Mesa, Arizona. A work of art in its own right, I tried to capture the unique qualities of the sign and the establishment in this original pastel painting. The original painting is sold. The "Diving Lady" is now available as a limited edition of 50 giclee prints. All prints are signed and numbered by the artist, printed heavy duty acid free paper, using archival pigment based inks, and come with a certificate of authenticity. Image size is 18"H x 14"W unframed, and 26"H x 22"W unframed. Shipping is free.